We were last summer in Villa Milos. Everything is so clean, they were all very kind. 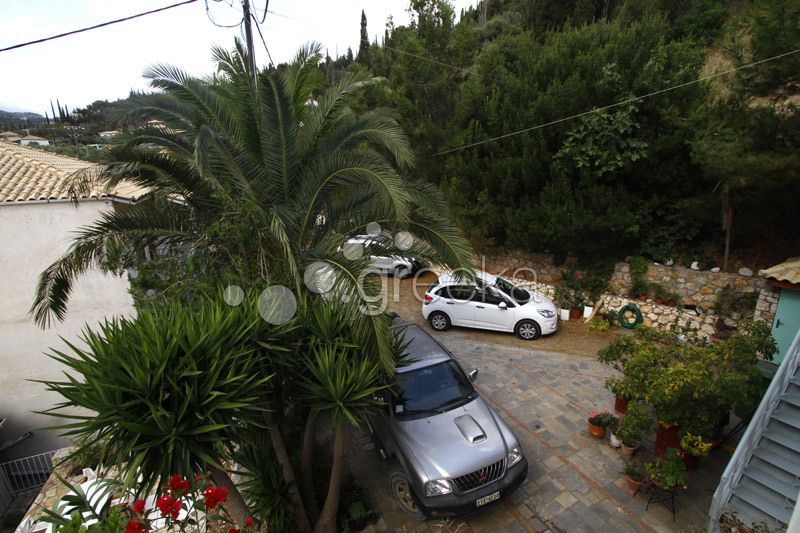 If we went this year in Lefkada, we will come to Villa Milos. We have spent wonderful 2 weeks in Villa Milos at the turn of June and July with friends and family. The rooms turned out smaller than on the photos but they were compensated by cleanliness and order. The rooms were cleaned every day and we had fresh new sheets every other day. The service was impeccable. The location is ideal for sightseeing the island. The beach was very close and the town was lovely. The garden and the balconies kept us amused. The nearby pool was excellent. We thank the owner, Mrs Eleni for our wonderful stay and we send our kind regards. 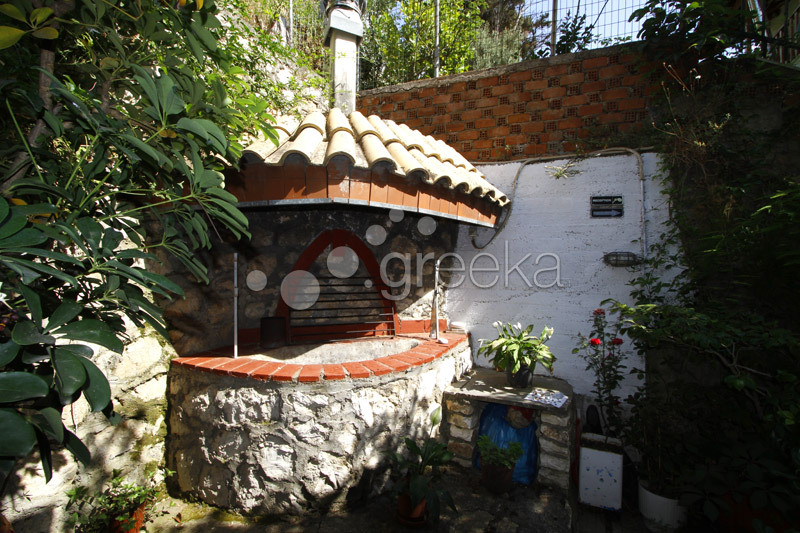 Thank you for this year's fantastic holiday in your apartment and Agios Nikitas, your island is a wonderful place! So moeto semejstvo za prv pat sme vo Agios Nikita- Lefkada, bevme smesteni vo Vila Milos, bi sakala da ja preporacham za sekoj onoj koj planira so svoeto semejstvo, vkluchuvajki i deca,da se smesti vo ovaa prekrasna Vila Milos, koja nudi se shto e potrebno, sobite se opremeni i shto e najvazno mnogu chisti, prekrasen dvor, pogled na more a seto toa go ovozmozile prekrasnite gazdi Eleni i Babis.Vilata e blisku do plaza sto znaci se e sovrseno! Agios Nikitas est un charmant petit village pietionnier en bord de mer, niche dans une nature verdoyante et magnifique. La maison des proprietaires se situe en retrait de la ruelle centrale dans laquelle s'alidnent les jolies tavernes grecques. L'accueil d'Eleni et Babis y est toujours chaleureux. Eleni est toujours attentive et disponible pour repondre a nos questions et satisfaire nos demandes, elle est formidable. J'y viens depuis plusieurs annees et je suis toujours enchantee de m'y retrouver. A l'annee prochaine !! We have really enjoyed our stay in Agios Nikitas. Thank you so much! Your villa is definitely the best situated in around here. Our hosts are very nice and we were feeling very confortable because they take the best care of us that we have ever experienced in Greece. We enjoyed especially the grass ground to play the board games and to have a rest after lunch. We love it here! Thank you again. Mnogu dobra polozba na vilata , prekrasen pogled na more od terasa . Ima parking za kolata sto e retkost. Nema potreba od klima vo juli. Cisto i redovno menuvanje na postelnini i peskiri. Mnogu ljubezni domakini. Nice lodging in great part of the town, very clean, quiet and comfortable. Shade during the day, we did not use air condition in July! There is a place for a car. 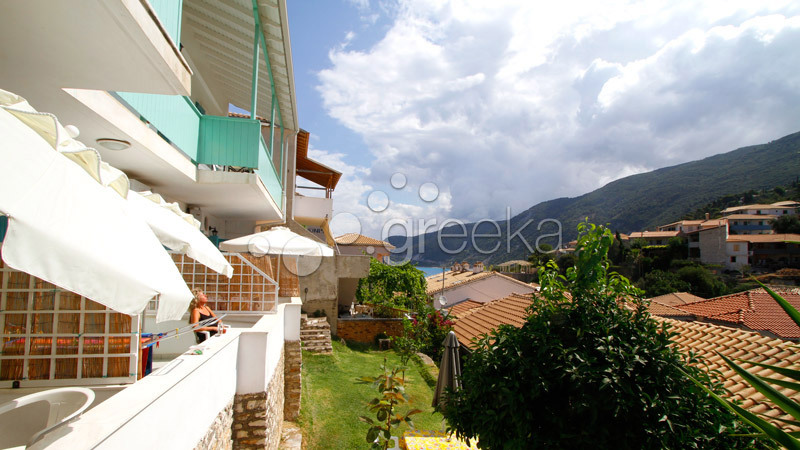 Very nice place situated in quiet part of Agios Nikitas but near the centre and the sea. Beautiful view of the hills and the sea. Very good service and prices and kind owners. The apartment in the first floor is the best. le nostre vacanze al villaggio di Agios Nikitas sono state fantastiche. Meravigliosa è stata l'accoglienza, la cortesia e la pulizia della nostra "casetta" a Villa Milos. Vi ringraziamo di cuore per tutto,vi faremo sicuramente un'ottima pubblicità tra i nostri amici. Preparatevi ad accogliere ancora dei veneziani. Come to villa milos for peaceful,restful,family holidays, in a clean environment, at the clearest and most beautiful beaches of the Mediterranean sea. Saremmo lieti di ospitarvi a Villa Milos quest'estate! !Vi offriamo vacanze tranquille per tutta la famiglia,nelle spiagge piu' belle del Mediterraneo!! Θα χαρούμε να σας φιλοξενήσουμε στη Βίλα Μύλος, προσφέροντας σας ήσυχες, ξεκούραστες, οικογενειακές διακοπές, κοντά στις ομορφότερες και καθαρότερες θάλασσες και παραλίες της Μεσογείου.